Tectonic: A Declarative REST Data Loader for React and Redux — Queries data via your existing REST APIs, stores state and data within Redux reducers automatically, manages caching, and more. React Konva: Draw Complex Canvas Graphics using React — Konva is a 2D drawing library, and React Konva makes it easy to declaratively declare reactive 2D drawings. Front-end ♥ npm; npm ♥ you — Every major front-end framework uses npm as its module store. 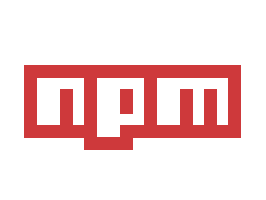 It’s just one reason why npm is the world’s largest software registry. Unblock collaboration, quit reinventing the wheel, and build amazing things. Bring npm to work. Spectacle 2.0: React-Based Presentations System — A major update for a popular React-based library for creating and delivering slide-based presentations. Deploying a 'Create React App' App in 27 Seconds — Create Reate App is a great tool to quickly build a starter React project. Couple it with Surge, a hosting platform, for a 27 second deploy as demonstrated here. Handling Outside Events with the Redux Listener Pattern — This pattern gives you control over your React-Redux outside events while reusing key constants and keeping code compartmentalized. Track errors in your React apps with Sentry — Don't wait for users to tell you when your code breaks. Sentry's open-source error tracking will let you know what went wrong. Nachos UI Kit for React Native: 30+ UI Components — See the components, plus GitHub repo. React Planner: A Component for Building / Architectural Designs — A bit niche, but draw 2D plans and navigate them in 3D.